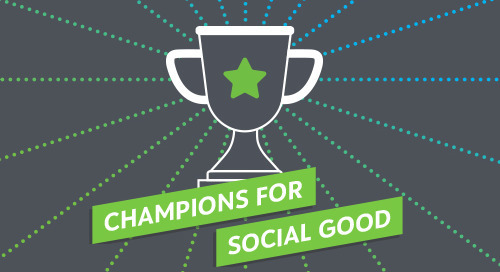 In this episode of the Champions for Social Good Podcast, we sit with Francoise Girard (@FrancoiseGirard), President of the International Women’s Health Coalition (IWHC) (@IntelWomen). Francoise, who describes herself as a “feminist activist,” has been working on women’s rights at the global levels for over 20 years, and talks about why she is so passionate about policy and advocacy. IWHC, which focuses on advancing women’s sexual and reproductive health and rights, realizes that by raising the status of women, countries can advance economically and socially, Francoise explains. She also discusses how IWHC, in coordination with other members of the UN Women’s Major Group, worked to ensure that women’s rights played a major role in the U.N. Sustainable Development Goals, resulting in gender equality being assigned its own SDG in addition to being incorporated within all 17 goals. Francoise explains the important role that national governments have to play in achieving gender equality, both within their own countries and influencing others abroad, and how sometimes local change actually starts at the global level. Finally, Francoise shares that IWHC believes that by empowering local organizations to define their own agendas, priorities and entry points, they can then provide these organizations with the funding, materials and training they need to speak in the global and local arena. See the full transcript here!